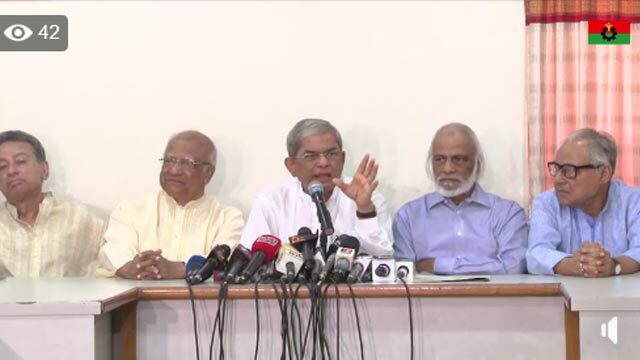 Dhaka, Sep 7 (Just News): Voicing serious concern over its chairperson’s health condition, BNP on Friday alleged that the government is out with an ‘evil plan’ to kill Begum Khaleda Zia in jail. “The family members of our leader Khaleda Zia met her in jail yesterday (Thursday). “We’re not only concerned, but also got surprised and disappointed over what they told us about her health condition,” said BNP secretary general Mirza Fakhrul Islam Alamgir. Under the circumstances, Fakhrul said, their party is going to send a letter to the Home Minister today seeking permission so that its senior leaders can meet Khaleda Zia in jail to see for themselves her health condition. He urged the government to take steps for ensuring Khaleda Zia’s better treatment in any specialised private hospital and free her from jail to save her life.